A thirty year veteran of recording music, Ben’s work has garnered several International Bluegrass Music Association (IBMA) awards for his work with bluegrass artists, The Gibson Brothers- 2013 Song of the Year “They Called It Music”, 2012 Gospel Recorded Performance of the Year, “Singing As We Rise”, and the 2011 Album of the Year for “Help My Brother”. In 2010, Ben gathered the IBMA Recorded Event of the Year award for engineering and producing Larry Stephenson’s land mark project, 20th Year Anniversary for the song “Give This Message To Your Heart”, Larry performed with Jamie Dailey and Darrin Vincent. His recording of Peter Rowan’s “Legacy” release on Compass Records received a Grammy nomination, and Ben was nominated for Grammys on two other projects to which he contributed. Ben Surratt’s work has also won a DOVE music award for recording Pine Mountain Railroad’s “Beyond The Rain”. In the recording studio, Ben has recorded projects for Peter Rowan, The Claire Lynch Band, The Gibson Brothers, Jamie Hartford, The Steel Wheels, Chris Jones and the Night Drivers, The Osborne Brothers, Larry Stephenson, The Farewell Drifters, and comedian/composer Ray Stevens, among others. 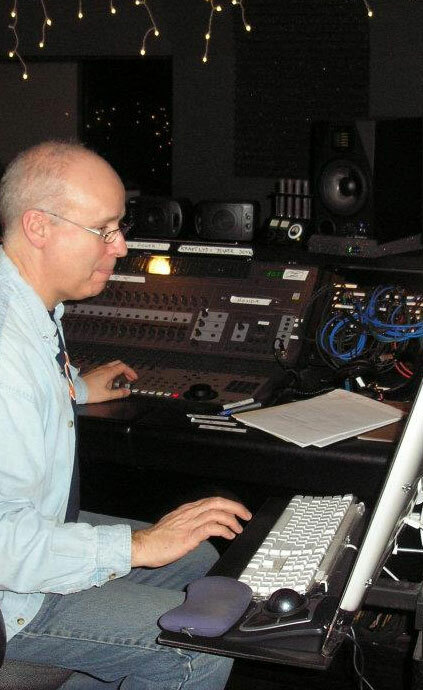 Ben Surratt’s live sound reinforcement career enters its 40th year. Ben has toured with The Lynn Morris Band, Blue Highway, Alison Brown, Sierra Hull, Claire Lynch, Missy Raines, and Robbie Fulks. Ben also works as a freelance staff engineer at The Station Inn, Nashville, TN. Ben Surratt has a B.S. from James Madison University, Harrisonburg, VA, in Communication Arts (Radio/TV/Film), graduating in 1982. Ben also has additional credits toward a Music Business degree from Belmont University in Nashville, TN. A graduate of IBMA’s Leadership Bluegrass program (2001) Ben also chaired the Leadership Bluegrass Planning Committee from 2002-2004, returning to the Planning Committee for 2013. Ben currently serves on the IBMA Board of Directors and is active on several subcommittees. Ben built his own recording studio in Nashville, TN, The Rec Room Studio, in 2004 and continues to record and produce projects as well as his work as an independent recording engineer in Nashville and around the country. Copyright © 2019 Ben Surratt. All Rights Reserved.